After many notes being written and many a beer consumed, this blog finally saw the light of day late 2013. A lot has happened in the scene since I started working on this blog. 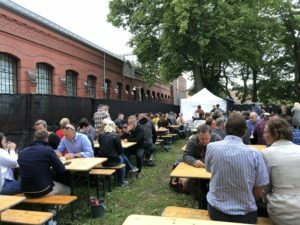 With so many exiting brews & breweries, an increasement in popularity (at least in Europe that is), and let’s not forget- possibly the most interesting of the lot, the homebrewers. It’s simply so much to taste, so many to get accuainted to, that it should be no wonder if there is types that you won’t find here… (Yet). Still; I will try to be as productive as I can allow myself to on this front (Santa, I’d like 30 hour long days for this Xmas!) and include what beers I taste, with my opinion about it etc. It seems that the more I learn about beer, the more I realize how much more knowledge that I lack about it… But hey, that’s part of what is about to change, part of the mission. Hope you can find it/some of it entertaining (perhaps even interesting?) in a way or another. Oh, and PS: Feel free to leave a comment in the comment-field. Nose: Deep velvet’ish candynight… even the smell is to die for. Insane! Choco-coffee. Barrel aged amazeballs! The best that can be imagined, silky smooth, adult beer. This is everything. Chocolate mousse… perfect texture. Perfect balance. Not overly sweet as one expected. Absolutely mindblowing, with a nice tingeling spice sting to it in the beginning. Then, thick oily body that entangles in layers of heat, chocolaty sweetness. The marshmallows are clear as day here, providing the longest sweet aftertaste imaginable. Strange. Not exaggerated at all either, just incredible. Hands down. 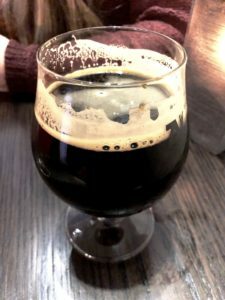 I hereby leave all hold-back and declare the best imperial stout (if not beer) in the world. Bottle 2553/3070. This is it. WOW!! Light and bubbly. Immensely fruity and fresh, and with a multiple taste. Hoppy as hell, but not the directly bitter-hoppy way I am used to in double IPAs. First and foremost, it is the ripe fruityness and mango-notes that takes place in this one. Incredibly delicious, rounded off with a sweet drape. (To quote my better half: “Even the burp tastes good!”) There are also citric traces of orange, lemon and even spruce in here. Absolutely astonishing! After the beautiful middle and great body, there is a small tingly hoppy heat to be sensed, before a long round aftertaste signs off. By far one of the best double IPAs I’ve ever tasted in my life. Hands down. Now, after reading up on this one, it’s about as close to a religious moment I’ll have this year apparently… And it sure looks fantastic. Black as night in the glass, with a suitable foamhead on top. Nose is massively infused with matured dark fruits and ripe berries, wood, bourbon hints and burnt notes. Count me in on this one, Chicago! When it comes to taste: A variety of tastes. Starting off with beautiful sweetness of chocolate, and sort of like, say 5 seconds in, spanning over to the uttermost comfortable sour’ish side of the specter of whisky/bourbon taste (almost so that you wonder if you’ve just had a sip from a glass with that! ), enhanced with heat, which in turn transforms into the most insane, rich roasted coffee taste imaginable. Gone is the fruity notes from the aromas, but what an exchange! Mouthfeel: The body is magnificently full, like a velvety cloak dressed around the mouth gland. Perfectly carbonated (of course- this one lives up to (if not exceeds!) all of my expectations. Such quality. Aftertaste is still lingering, minutes after swallowing… licorice… warm soothing heat. Wow. Just, WOW! Today, I’m in company with a fantastic beverage from Kansas… looks fantastic. Beautiful color in the glass. Nose is rose and subtle fruityness. Gooseberries and red currants is what comes to mind here. Judging by The looks I’d say it’s very little carbonation going on here… Let’s check it out. Well, that was something quite different!There is definitely carbonation here, although it pours no head. At first, the tastebuds are paralysed by the extremely tart shock! Really, just extremely acidic before blending in with it’s seducing fruityness… almost like lemonade. Now, this should be quite interesting… Having saved this bottle of excitement for merely almost a decade, it is now time to taste it and see what’s in store. Not at all as expected. That is the first thing that comes to mind- there is absolutely no combination left in this beer and the taste is mildly put… ehrm, mild. With no bubbles going on at all, I must say it’s over its peak for sure. 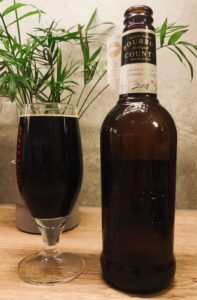 Can’t say that I’m that surprised considering the length of storage 😅 What can I say about taste here though… mild, lightly hoppy (probably lost most of it along the way). Quite dead and bland now, not even traces of heat to be found. Well well, tick the box, I suppose one can say. With a sophisticated outfit looking more like a bottle of the finest Champagne, exitement-levels rocketskies until otherwise proven wrong. 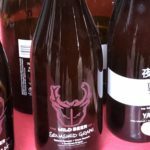 This extravagant fine brew started it’s journey in Belgium, and there’s no such thing as a rapid way to get these bottles out on the market. After a thoroughly long process- or more rightly put: a chain of processes, in both the homecountry as well as neighbour France, we have this fantastic brew to consume. At first it seems to have a lot in common with many fellow brews of Belgium, but soon it shows signs of more complexity than so. The nose giving subtle hints of spices and mateurity, the transparency reflects a very clean, undistorted profile. My tastebuds then reports of cinnamon features, a highly secrecy-spun web of anise. There’s caramellish undernotes and a subtle sour hint here, covered by a velvet of sweetness and a longlasting delicious almost nutty aftertaste. The heat from the well-hidden ABV does not reflct negatively at all in the taste, just warming at wintertimes. Very clean tasteprofile. 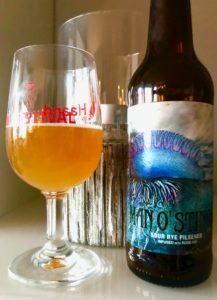 A collab between the front soldiers Siren, who has teamed up with Stillwater and Prairie Artisanal, is what we have here. An exiting, intriguing artwork on the label is good and all that, but the real exitement starts when reading about the contents here. 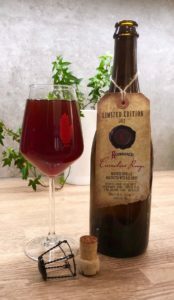 A bunch of different ingredients in this blend, where grapes, blackberries, cherries collides front-to-front with lactose and coffee, creates this fine favourite beer type of mine, Flanders ale. Needless to say, it looks striking. Nose is becoming more and more right down towards room temperature. Insanely dark fruit infusion, stingy acidity, lightly spiced and deep subtle sweetness… Right, I’m dying to drink this. At first, the berries welcomed midway/far back in my mouth, great balanced tart taste. 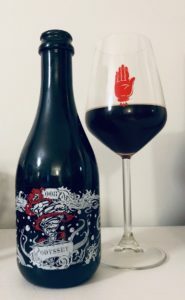 The berries’ taste span from sweet cherry taste and deep dark raisins, to tart, to oak mateurity, before rounding off with sweet, delicate outro. Amazing stuff! Will definately have again. 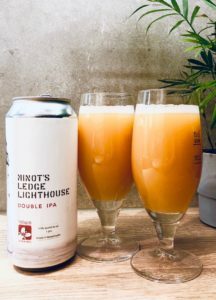 With the amount of new brews coming out, the scene is Pretty flooded and hard to follow up with nowadays. 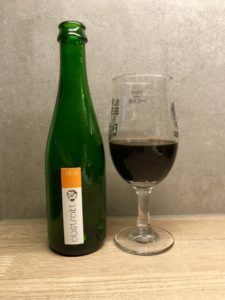 Every now and then though, a light shimmers in the shape of something outstanding- such as is the case with Norwegian brewery’s 2018 version of this incredible stout. It looks amazing (of course), but in addition to that, the nose is nothing but seductive. Coconut! Like, as in a bounty (yes, the delicious chocolate), only in liquid form. Black as night, we must dive in, mustn’t we? It is always interesting to come across a brewery that one hasn’t tried something from before. 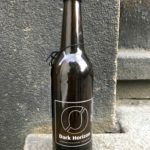 This German brewery has thus collaborated with Denmarks To Øl, in order to serve this bright-yellow beauty. 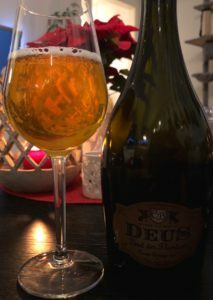 For starters, it seems well carbonated with a great head when being poured- and the nose is nothing but splendid. According to the bottle information, this is a rose hip-infused sour rye pilsener, and flower’ish, mineral/fruity citrus notes does subtly emerge. Also acidic hints. 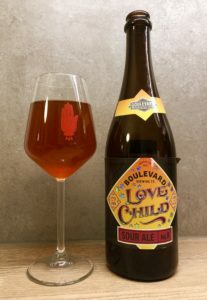 When it comes to taste however, it starts off with a quick flirtation with sweetness before the acidity undoubtedly shows it’s presence… very sour for this type of beer to be. Very fruity middle with bitter high end to it. Also, it’s quite salty and I find hints of seaweed in here. Mildly sour aftertaste that evaporates quickly. Very nice and fresh, this one.